Our radio decoding service covers some car stereo & Sat-Nav units fitted to JAGUAR cars. Alpine made Jaguar radios from the Serial Number rather than from the vehicle's VIN, thus we can decode radios taken from scrapped vehicles for restoration projects. Codes for JAGUAR factory-fitted radios require upto 24 hours to supply as they cannot be 'calculated' and must be obtained from a reliable trade partner. It also means that the cost is a little higher than our standard price, at £14.95. We personally acknowledge your request (NOT an auto-responder) and usually succeed in responding by email with your code within 12-24 hours. 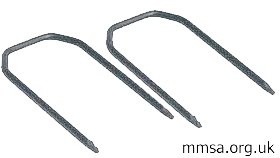 While the radio in some models of Jaguar can be extracted using the standard form of two prong 'key' inserted into twin holes either side of the radio faceplate, others require that you first remove trim panels to reveal fixing screws - clearly the latter is more time consuming and more prone to accidental damage to trim panels or upholstery. If you have any doubts about your ability to remove the radio from the dashboard cleanly, without scuffing the surrounding trim or worse, we strongly advise you to visit a specialist radio installer or contact one of the many good mobile specialists. This advice is true for any vehicle, but damage to higher value cars can be prohibitively expensive to put right. Several of the Visteon units fitted to Jaguar use a standard twin pronged key (as shown here) to extract the unit - if this is the case with yours, you will see the two small holes each side of the faciaplate. Don't be tempted to try removing the radio another way or force it as you may damage the surrounding dashboard trim. The keys make it very easy - you can find them in motoring stores or online. Labels applied to the case of the radio may overlap the back and top, or top and side panels. Look to see if such a label is torn along the line where the panels meet and let us know if you see this. It might indicate the radio has been previously repaired and the code reset.